« Do you want my number or do you want to connect? We were conducting a marketing workshop for a client and we did a number of exercises so that we could get a group consensus about their core objective and key messages. As part of this session we were trying to define their “essence” , their heartbeat , who they are and exactly what they are all about – this was really useful as it helped us to understand them even more and it helped to deliver some extra clarity to their own senior team. The session was steering it’s way towards a Mission Statement, an outward and inward declaration of intent that they could stand over, which hopefully was going to be a lot more than corporate dribble and something that would actually connect with their audiences. The problem is I actually hate all of that Mission Statement “stuff” – I guess the original intent was good, but for me it has become a corporate and organisational formula and I have yet to read one that stops me in my tracks and tells me something genuine, honest and emotive about what they actually do and what they believe in. Initially this question made people shift uneasily in their seats …how can you really promise anything? Is that leaving you open for inevitable failure? Is a promise a little juvenile? We live in a world of broken promises and is using that word even credible any more? What if we don’t live up to our promise? Once the idea settled a little and the group started to get their heads around it we started to think about “what we could promise“. At this point we had a really incredible conversation that quickly went to the absolute heart of what they were all about and there was now an enthusiasm about making a real promise. Why was there discomfort initially around using the word “promise”? Besides making a commitment that was deeper and probably much more personal for everyone concerned it also gives you little scope for failure and sets that bar really high. On the plus side it shows that you are prepared to lay your commitment on the line and be measured by it without that margin for error. Is it really that risky to make a genuine promise and then stand over it? This entry was posted on February 20, 2012 at 6:46 pm and is filed under Customer Care, Marketing, Teamwork. You can follow any responses to this entry through the RSS 2.0 feed. You can leave a response, or trackback from your own site. Another great blog Greg. I work for a small specialist engineering company and we are always struggling to get our marketing right and come up with that slick statement that really embodies the connection we seek between our products with our clients. Our sister company, which specialises in ground stabilisation (making soft ground really hard so you can build on it) has a ruputation for efficiency and hard work unmatched in the industry here. They recently came up with this one, which I thought was really camp at first but realised its simple beauty on reflection. “We do the hard yards”. Its what they do and how they do it. Our clients always remark on it so its made that connection. Its great when you get it just right. An example of getting it totally wrong is the following, which a large engineering consultant uses here. A classic case of design by committe I’d say. “To create, enhance and sustain the world’s built, natural and social environments. Dedicated to this promise, our company is driven by a clear set of Core Values, which define who we are, what we do and how we do it.” What a turnoff……. Hello Greg, what a meeting and the idea of us making a promise was inspired. We feel very strongly about our role in supporting the patients of The Mercy Hospital and work our socks off every day to raise funds so that people in Munster have access to the best hospital with the best staff and the best facilities and equipment. 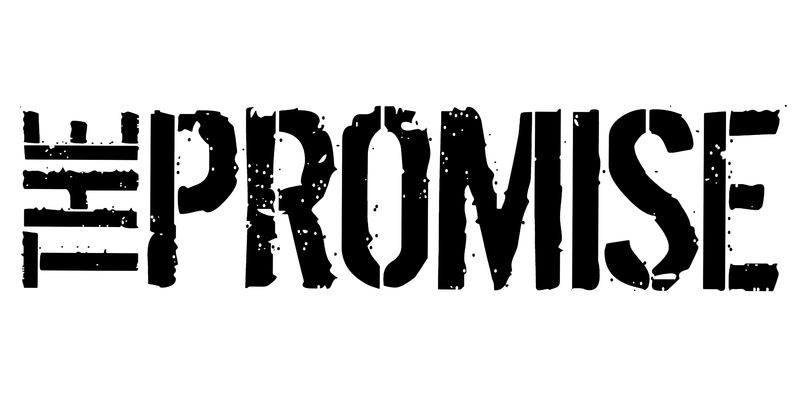 We are very excited about finalising ‘The Promise’ and then getting on with working as hard as we can to deliver on it! Awesome blog Greg, I am always supportive of those chipping away at the behemoth of corporate speak and the infamous mission statement. My first real call to action came from reading Guy Kawasaki’s Art of the Start and his introduction of a Mantra. Love to get your thoughts! Great post Chris – a fear of promising can be natural if you think that’s just leaving you on a hiding to nothing. Decide what you can promise and make one? Is that book good by the way? ….I love the find the fun idea…. Love it! I love your idea that we own it to ourselves that we make a promise. We all need to believe in something and have a clear purpose. What are you doing if you don’t have that? I love the message! I am so sick of ‘mission/vision/values’ statements that no one believes. Princess Margaret Hospital here in Toronto, Canada has nailed it. “We will cure cancer in our lifetime.” Done. I can get behind that promise! Hopefully more organizations will take up the challenge. Another excellent article Greg; I did a similar exercise with a team this week (Team building workshop). Instead of the promise question we looked at “What is the purpose of the team”. After a bit of probing we got a conversation going and the team soon concluded that being a team was more than just doing their daily tasks. One other point Greg; when are you going to bring back your music recommendations!!!! Hi Sean – thanks for the positive feedback. It sounds like that was a great team session. Music …. what’s your taste? anything from 70’s soul music to rock and in-between. I’m lucky that I have a large collection of vinyl and CDs in my office that I can play while trying to write the next chapter on my book. It funny how creative you can become when Harold Melvin is playing in the background!!!. Harold Melvin – I must Google him!! Today we had The National playing …check them out ! What’s the book? You’ll know some of their songs as Simply Red covered “If you don’t know me by now”. Teddy Pendergrass was their lead singer during their successful period. The new book is on getting the best out of your performance review meetings and by extension the best out of your team. It is due in the shops next autumn. Lots of fun ahead!!!! !